They call me Spectra because of my fur. It is different from the others in my clan, who take a common white fur colour. Mine is different.... and I'm proud. Difference is my life, my personality. I am not afraid to stand alone and tall. I am forever fox and proud. 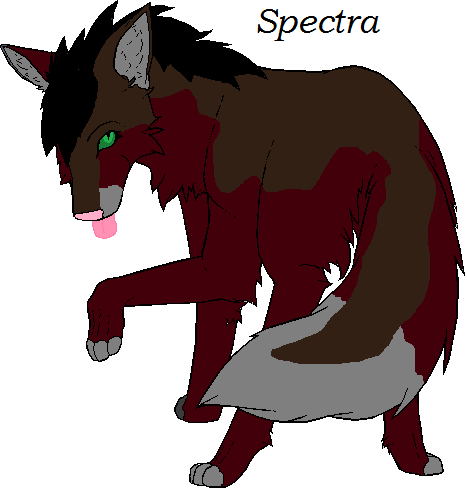 Spectra has fur that is brown and red, only with a grey tail tip, nose, and toes. Her eyes are emerald green. Spectra is usually shy and quiet. 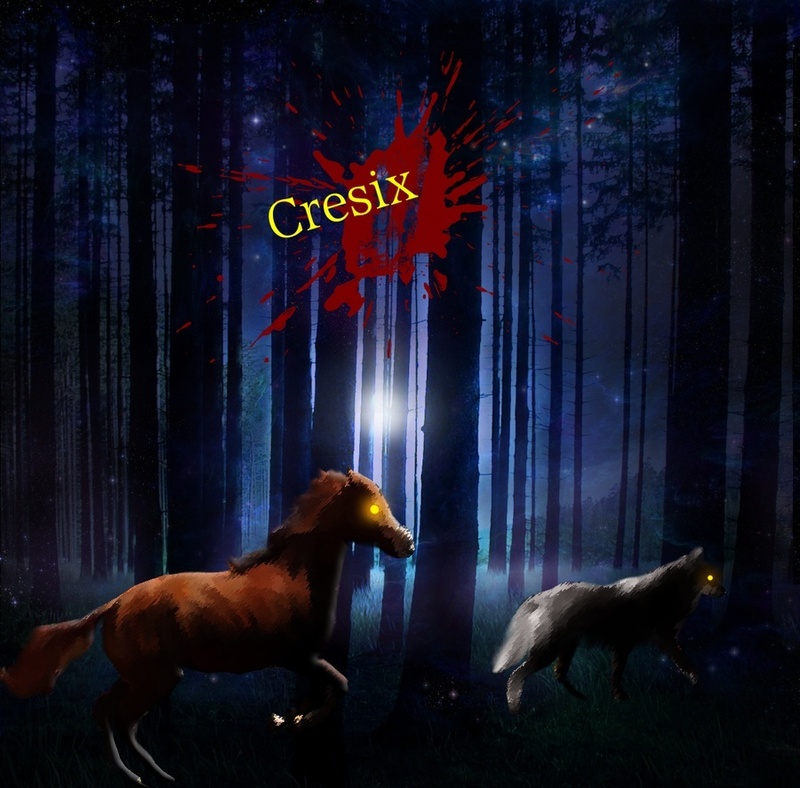 She is not afraid of her differences, as she was outcast of a clan of foxes because of them. She came to Cresix to find friends and peopel to get along with. Because she has just arrived, she has no special persons yet. Spectra loves silence and the sound of rain beating on the ground outside of the den. She values alone time and uses it wisely. This vixen has a strong disliking for rudeness, prissyness, and bossiness. She has a habit of ignoring or forgetting orders. She loves making wisecracks, but usually uses her sarcasm too much. Excellent biography, Spectra! I'll add you to our roleplay event immediately. I am Enelex, your lead administrator. Shoot me a pm if you have a question. Thank you Enelex. I'm glad you find my biography interesting. Hey, no problem, Spectri (your new nickname x3). I see you've already roleplayed-- that's awesome! I like how you put your biography together, welcome! Member account deactivated; bio locked.